Bags under the eyes – a fairly common problem. And if not from them finally get rid of using creams and masks, it remains the only way to disguise them with makeup. Corrector yellow tone Foundation, a light powder. Makeup artists understand all the difficulties one faces when disguise bags under the eyes, so practice it not so often. For example, quite often in addition to swelling on the lower eyelid are formed and darkish circles that spoil the appearance. At this stage it is important to use concealer in yellow tones, as white, on the contrary, increases swelling, resulting in swelling visually. Concealer should be soft, smooth to lie down on the skin. Apply tone very carefully, do not overdo it. After the bags themselves you've painted over, it is important to give an even tone all over her face. To do this, use a concealer suitable for your skin. It is also important to do everything carefully and not overdo it, otherwise the face will become unnatural hue, and the appearance will be spoiled. But at the same time correcting the bags under the eyes is not finished, there is another important stage. Causing bags under the eyes spoil the appearance? Swelling cast a shadow on other parts, as a result, she seems sleepy and tired. Accordingly, when the face has a smooth color shade clearly visible. And to get rid of this effect, apply the light tone in sunken areas that are under the swelling. The powder should be matte, no shimmery particles, as they attract even more attention to the problem area. Apply it only once, as a layered application, on the contrary, will allocate puffiness under the eyes. 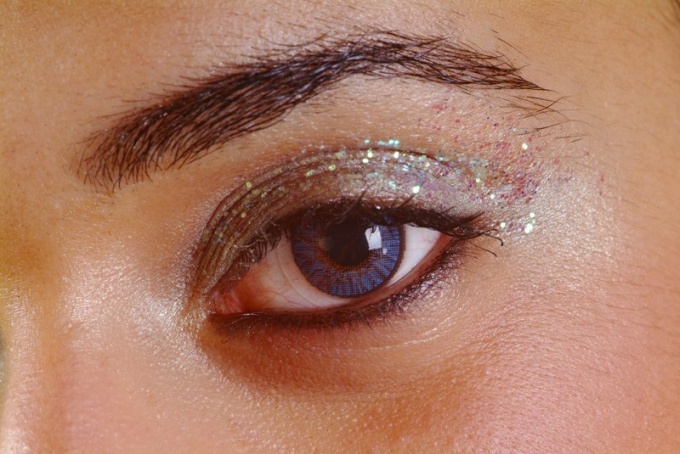 These steps will help to get rid of the external manifestations of bags under the eyes. Shadows from them will now not visible, so you will get a rested look and a perfect complexion without a hint of the swelling.